Discover the next step to pursuing your financial goals. As a financial advisory and wealth management firm, we understand that sound financial decision-making requires objective, customized strategies to help protect, build, and transfer our client's wealth. We continually adapt our focus for changes in our clients' lives as well as changes in the investing landscape. Through highly personalized service and transparency, we build strong and lasting relationships with our clients. Based on this foundation, we are able to guide you every step of the way toward your financial and retirement goals. Click below to read LPL Research's blog, which provides daily commentary and breaking news updates on market-moving and economic events. Markets is filled with investment insights and market guidance for the year ahead. 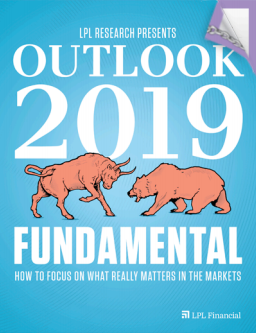 View the complete Outlook 2019: Fundamental, featuring insightful commentary, as well as economic and market guidance for 2019.